Want to play drums but not sure what you need to get started? Obviously you need a drum kit – but you also need sticks… and eventually you’ll want a whole bunch of other stuff. Have a look through this handy check list of drumming essentials. Possibly the most standard sized drum sticks on the planet. If you’re not sure what size to go for 5A is a great starting point – not too big and not too small. And Vic Firth make great drum sticks. Expect to pay around £10 for a decent pair of drum sticks. 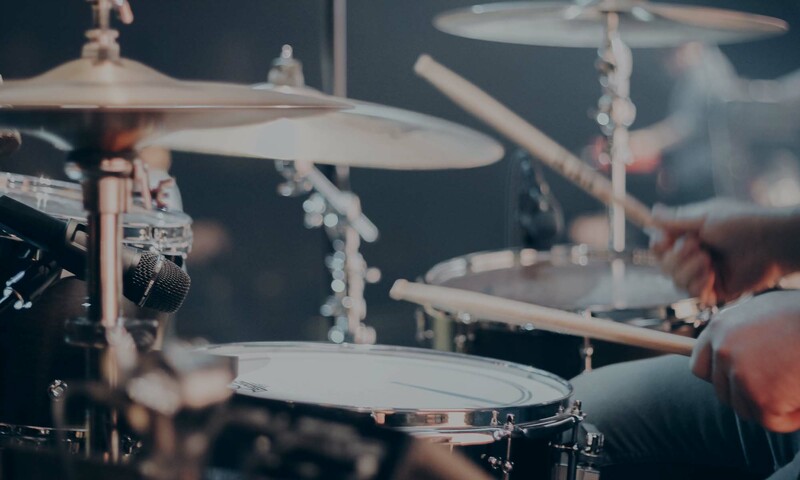 If you’re planning on playing the drums you need to protect your hearing! Don’t waste your money on expensive ear defenders designed specifically for drums. Builders’ ear defenders work just fine for a fraction of the price. You need somewhere to keep your drum sticks and associated paraphernalia. This Stagg stick back is decent quality and can be clipped on to your low-tom. You’ll need a music stand. You can either get the annoying, flimsy, fold-up type or something a bit more industrial like this. You can never have too many drum keys! They easily get lost and without them you’ve got a problem. This set includes 3 standard ones and a ‘winder’ one which is handy for rapid changes of drum heads. I’ve been using Sennheiser HD280 Pro headphones for many years. They’re generally regarded as ‘THE’ drummer headphones thanks to their high levels of noise isolation and superb sound quality. Yes they’re expensive but as an added bonus, you know when your on a plane and you can’t hear your music / movies / podcasts due to all the background noise. These fix that. Practice tips are awesome. They slide over the tips of your existing drum sticks and you can then practice on any solid surface. Cheaper and smaller than a practice pad! Moongel is basically a blue gooey pad that sticks on your drum heads to reduce unwanted ringing. They can really improve the sound of your kit and some things ‘ringing’ so much. You need something to sit on and this Pearl drum stool is top quality. Don’t skimp when it comes to your drum stool – cheaper ones just break. Having a nice big practice pad is handy for your day-to-day practice routine. The 12″ one can fit in to a normal snare drum stand (smaller ones can’t).